Gone are the days when Microsoft's mobile platform Windows Phone was only associated with Nokia Lumia, much like how Android became synonymous with Samsung. But earlier this year, Microsoft managed to break this stranglehold, first by buying out the Nokia devices division and from there on, decided to free up the platform for more and more vendors, by making it free for any Windows device below nine inches, where smartphones prominently feature. All these have led to the announcement of Windows Phone (WP) devices from brands like Micromax, Lava and Xolo among others. While Micromax has already done the honours, Xolo is the next brand to venture into the WP arena with Win Q900S that stands for its design and ergonomics. 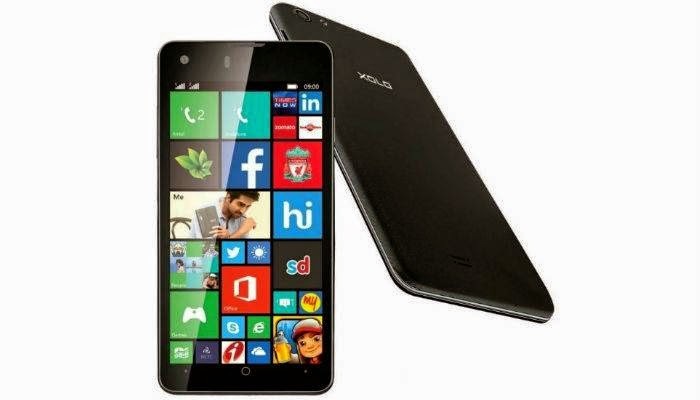 The phone runs on WP 8.1 version, the latest in town which benefits from hardware and feature upgradation. Win Q900s sports a 4.7 inch HD display, running on WP 8.1 as we mentioned earlier and offers dual-SIM support. It packs quad-core Snapdragon 200 chipset with 1 GB RAM, which even Nokia has failed to offer in this pricing (Lumia 630 still offers 512 MB). On top of that, you get an 8 MP rear snapper With flash and along with that you'll find a 2 MP front shooter as well. For storage freaks, 8 GB space is available internally and expandable up to 32 GB. Wi-Fi, Bluetooth, GPS, A-GPS, FM Radio are all there and you'll find an 1800 mAh battery supporting day-to-day usage. It weighs 100 grams, probably the lightest phone in the market and at 7.2 mm, it's the slimmest WP device available in the country. Xolo Q900s will be sold in the country for Rs 9,999, making it more attractive than any of the Nokia Lumia devices available in this range but then, with Nokia (or Microsoft devices if we may say) you get a brand assurance and that trumps any hardware bump available.